TruePublica Editor: This report has to be read with the perspective of an American military leader whose career has been to carry out orders on behalf of a government that has illegally attacked dozens of countries and killed millions since the 1950s for the purposes of economic and diplomatic benefit. Whilst this report only sees the threat from an emerging super-power, it makes very interesting reading for those with a geopolitical interest. By Lawrence Sellin, Ph.D – retired U.S. Army Reserve colonel: For many, it was a stunning development. China will build a brigade-size military training facility in the strategic Wakhan Corridor, the land bridge between Tajikistan and Pakistan, which is located in Afghanistan’s northeast Badakhshan province and borders China. For those who have been closely following growing Chinese influence in Afghanistan, the above report comes as no surprise. 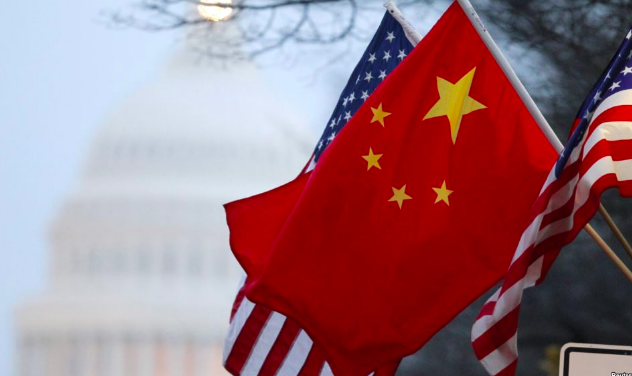 The spokesman stated that China has steadily increased its military cooperation with Afghanistan and had, at that point, already provided $73 million in military aid. Beyond the enormous geopolitical implications of a Chinese military base inside Afghanistan, the Badakhshan installation is the final security link between Tajikistan, vital to China’s commercial interests in Afghanistan, and Pakistan, China’s “all-weather” ally in South Asia. It was largely unreported that China financed border outposts and deployed troops to Tajikistan’s eastern Gorno-Badakhshan Autonomous Region, which borders Afghanistan’s Badakhshan province and is part of the Wakhan Corridor. Consolidating a Chinese presence in Badakhshan province, the Afghan Ministry of Information and Technology has discussed signing a contract with China Telecom for a fiber optic network connecting China to the Wakhan Corridor. No doubt, the intention is to couple that system to the larger network linking China with Pakistan, the Middle East and Africa. China is already Afghanistan’s biggest investor. In 2007 it took a $3 billion, 30-year lease for the Aynak copper mine. China and Pakistan have offered to extend the China-Pakistan Economic Corridor (CPEC) to Afghanistan. Some have concluded that the CPEC invitation is a prelude to positioning China as a mediator to end the Afghan conflict. In the June meeting of the Shanghai Cooperation Group (SCO) held in Beijing, Chinese President Xi Jinping said in order to “facilitate peace and reconstruction in Afghanistan, we need to give full play to the role of the SCO-Afghanistan Contact Group,” which includes Russia, India, Kazakhstan, Kyrgyzstan, China, Pakistan, Tajikistan, Uzbekistan and Afghanistan. The SCO-Afghanistan Contact Group may become a vehicle to remove the U.S. from Afghanistan. Underlying the soft power component represented by China’s commercial Belt and Road Initiative is a hard power plan for global military expansion. A Chinese military base in Badakhshan will be the second overseas military base joining the Djibouti naval facility inaugurated in 2017, allegedly to protect China’s interests in Africa, but conveniently located at a strategic choke point near the sea route to the Suez Canal. A similar Chinese naval facility is reportedly planned for Pakistan’s Jiwani Peninsula within reach of the strategically important Strait of Hormuz. Control of Afghanistan will allow China to complete transportation corridors, power grids and oil and gas pipelines throughout Central and South Asia. China can then begin to exploit Afghanistan’s estimated $3 trillion in untapped mineral resources, in addition to Balochistan’s $1 trillion in gold, copper, oil, precious stones, coal, chromite and natural gas. China cannot achieve its regional ambitions while the United States maintains a presence in Afghanistan. Both Pakistan and China know that, militarily, American policy in Afghanistan is untenable and the U.S. has few diplomatic cards to play in a negotiated settlement. With the encouragement of China, Pakistan, through its Taliban proxy, will always do just enough to prevent us from achieving our goals in Afghanistan. Clearly, China is winning in South Asia. The United States needs to look beyond the current strategic conditions, to create leverage, where we currently don’t have any. Forget the Taliban. Once China achieves its aim of an American withdrawal, the Taliban will eventually be thrown under the bus with the help of the Taliban’s sponsor, Pakistan. CPEC is the center of gravity and Balochistan is CPEC’s pain point.